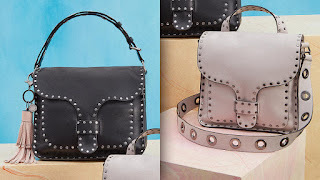 brandflakesforbreakfast: Rebecca Minkoff has loyalty "in the bag"
Rebecca Minkoff has loyalty "in the bag"
Loyalty programs are like opinions, everyone's got one, but only a few of them are any good. After all, a good loyalty program takes a lot of thought and commitment (read: investment) to keep customers feeling excited and valued. And, most of them haven't updated their approach since back in the days when we rocked Blockbuster cards. Even mobile apps are starting to become old news at this point. It's for these reasons and many more why this fresh new, tech-driven approach from Rebecca Minkoff is so impressive. In 2017 all Rebecca Minkoff bags will contain QR codes (ok, so that's not so new) that will allow the bag to unlock all sorts of customized experiences when customers walk into their tech-enabled stores. No cards to pull out of the wallet, no apps to pull up, no phone number to repeat 5x to the cashier. The experience opportunities are endless, starting with things like a personalized video from Rebecca herself upon entry to the store, product recommendations, and discounts. But what makes this so exciting is where they see it going in the near future. The goal for the brand is to work with partner businesses to make each customers' purse unlock customized experiences all over the world. Imagine you're on vacation in Chicago, walking down the street all stylin' with your Rebecca Minkoff bag and as you walk past a coffee shop you suddenly get a personalized message telling you this is Rebecca's favorite coffee shop, come have your purse scanned for a free coffee. The opportunities to deliver exciting, surprising, memorable, highly shareable experiences for loyal customers at virtually any touchpoint are endless. Talk about keeping top of mind!